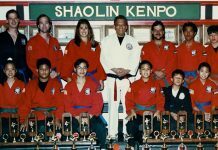 Home Who's Who A Quick View of Ed Parker Sr.
Ed Parker was the President and founder of the International Kenpo Karate Association (I.K.K.A.). He was also the creator of the famous International Karate Championships (IKC’s) where Bruce Lee made his historic first public appearance. 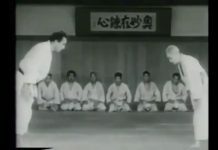 Mr. Parker was also considered the “Father of American Karate” as he opened the first commercial karate studio in the U.S. in Pasadena California in 1956. 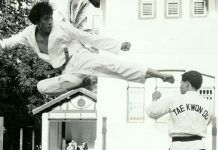 He achieved the rank of tenth degree black belt – the highest level within the art. 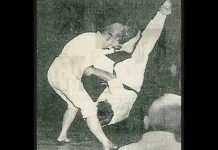 Ed Parker began his studies in Judo and boxing then found his way into Kenpo, under the instruction of Professor William K.S. Chow while living in his native land of Hawaii. 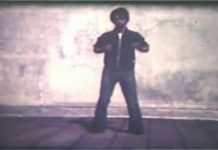 In addition, through exchanges and interactions with other martial artists such as Bruce Lee, Dan Inosanto, and James Lee was Mr. Parker able to experiment and formulate his ideas that would later become American Kenpo. 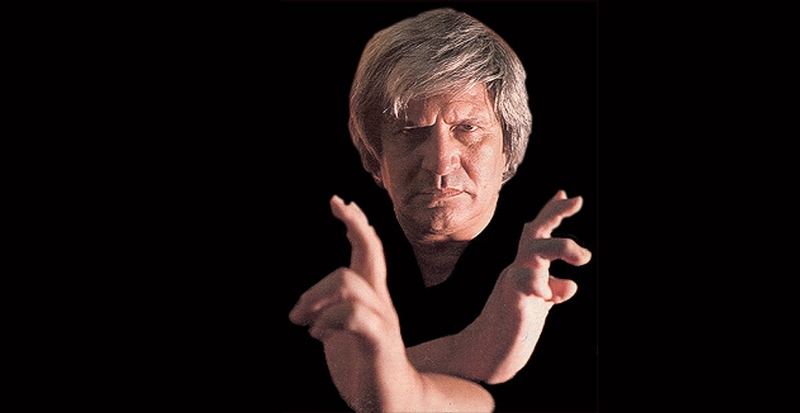 Ed Parker was the original developer of the art of American Kenpo Karate. Through 40 years of experience, he built his system on principles of motion that included “Opposite and Reverse Motion”, “Tailoring”, “Focus” and the use of Logic. He developed many tools to aid his teaching with the creation of the “Universal Pattern”, the “Equation Formula”, training manuals, books and video tapes. His system incorporates linear and circular motion, with intermittent spurts of speed and power when and where necessary, with both major and minor moves. 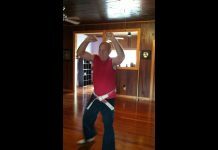 His idea was to learn motion and principles and then tailor it to fit your body. Later you create your style of moving, governed by principles. He taught many celebrities over the years including Elvis Presley, Frank Sinatra, Billy Idol and David Lee Roth – among other celebrities. He also taught a man by the name of Paul Mills from Evanston, Wyoming – whom he would later call his “Secret Weapon”. Previous articleIt’s Flu Season Again. Self-Defense of a Different Nature?